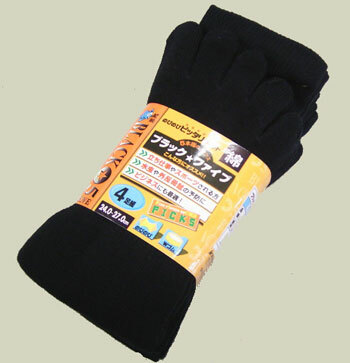 These thick five-toe sports socks are ideal for any situation and essential for wearing with Japanese jikatabi or sandals. A cotton/silk blend with extra support for the arches and calves. Mid-calf height.